We offer custom luxury gift wrapping services for $4.00 per piece. Whether you need one perfect gift or hundreds, leave the wrapping to us! When you are ready to checkout, you will be given the option to add gift wrapping. We will include your personalized message with any of the gifts ordered. It is a laser printed message as it is entered in our Order Form. Please make sure that you have typed the message exactly as you would like it to appear. We will not be making any corrections to the message as some of them are actually written in different languages. The message is inserted in a matching envelope and put inside the gift box, thereby preventing it from being lost in the packaging. 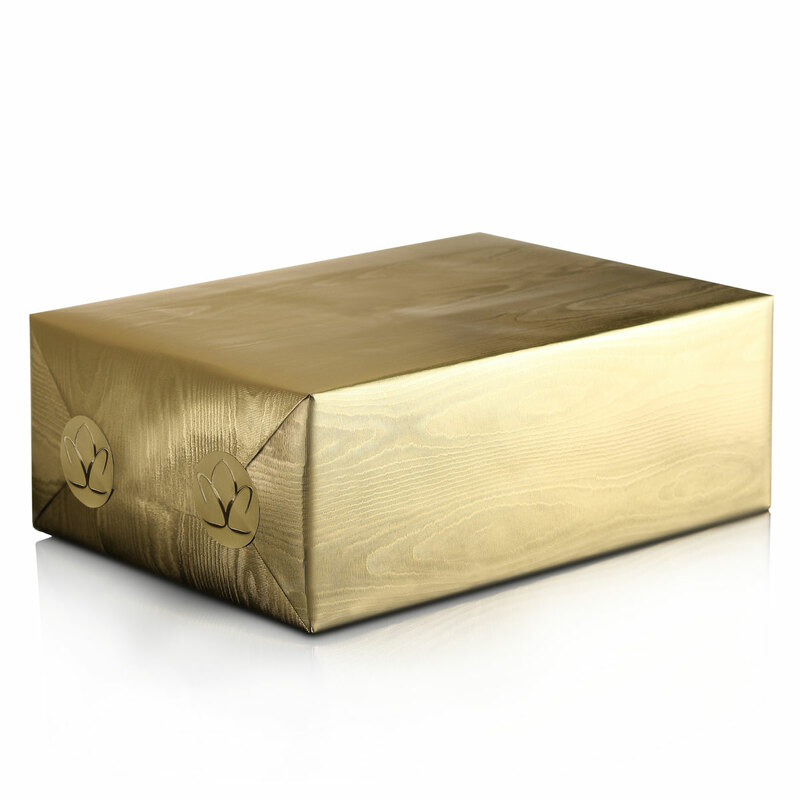 All pieces purchased at Shannon are delivered in gift boxes, regardless of whether they are gift wrapped or not. Most of the gift boxes are actual manufacturers gift boxes. We try to stay with manufacturer's boxes whenever possible. However, in some cases, especially in the case of stemware orders where the original packaging would contain more items than ordered, we will pack the pieces in sturdy white corrugated gift boxes. Riedel Sommeliers series is packaged by Riedel in gift tubes. As the tubes can not be wrapped, these items will be shipped in manufacturers gift tubes without gift wrapping. Gift wrap your gifts in elegant silver paper with embossed seals! In order to ensure safe delivery, we are unable to gift wrap lamps and chandeliers. However, we will gladly enclose the gift card with any of these pieces. In order to expedite some shipments we drop ship them directly from manufacturers warehouse. In that case the order can not be gift wrapped. In those cases the Gift Card will be sent separately to the recepient. If your order was drop shipped it will be indicated "drop ship" on your invoice. Riedel Sommeliers series is packaged by Riedel in gift tubes. As the tubes can not be wrapped, these items will be shipped in manufacturers gift tubes without gift wrapping. Waterford china pieces other than five piece place settings are packaged by Waterford in bubble wrap and are not boxed. Royal Doulton and Royal Albert tea sets. Our Premium Greeting Cards are available for purchase with your crystal gift. For a personal touch, add this card to the shopping cart and the message from your order form will be hand-written in the card. These cards are also available for purchase separately for use as a tasteful way to celebrate many occasions. If you add a card to the shopping cart without a message, we will send you a blank card that you can write yourself. White envelope is included with the card. Printed on glossy card stock, and there is no limit on how many cards you can purchase - great for everyday gift giving. All of the Premium Greeting cards feature our original art.